Poplar Healthcare » C. Michael Choi, M.D. Dr. Choi is a nationally recognized GI and GU pathologist, with over 25 years of experience in the field. He received his M.D. from Catholic Medical College in Seoul, Korea and trained in anatomic and clinical pathology at the MetroHealth Medical Center, Case Western Reserve University in Cleveland, Ohio, where he completed his residency program and completed fellowships in anatomical pathology, cytopathology and hematopathology. 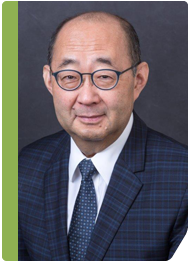 Dr. Choi’s experience prior to joining Bostwick Laboratories includes his most recent role as director of cytology and director of the GI division at OUR Lab in Nashville, TN. He also served as the laboratory director at Affinity Medical Center in Massillon, Ohio for eight years and as the head of cytopathology at OncoDiagnostic Laboratory, Inc. in Cleveland, Ohio for four years. Prior to that, he was director of cytopathology and hematopathology at St. Vincent Charity Hospital in Cleveland, Ohio. Dr. Choi also spent time as a clinical associate professor at Ohio University, College of Osteopathic Medicine in Athens, Ohio. Dr. Choi’s professional affiliations are numerous and include membership in the College of American Pathologists, the American Society of Clinical Pathology, the American Society of Cytopathology and the American Medical Association. He is also the author of numerous publications in his field.